With more than 300 bird species in central New Mexico, including sought-after specialties such as the Greater Roadrunner, wintering Sandhill Cranes and the three species of Rosy-Finch, the area is a draw for both visitors and residents alike. The mission of the book, published by Texas A & M University Press as part of their W.L. 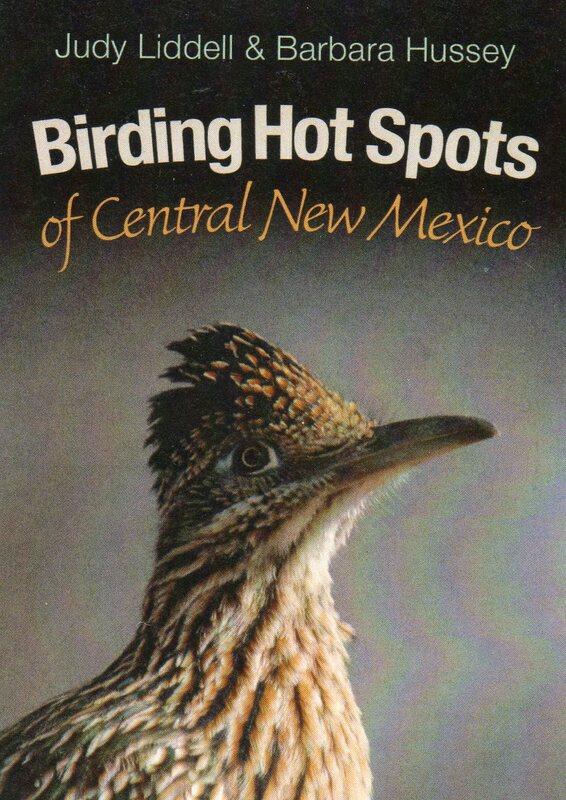 Moody Jr. Natural History Series and a FINALIST IN THE AZ/NM BOOK AWARDS, is to provide user-friendly resources to help both new and experienced birders locate convenient places to enjoy their passion, or to assist visitors and newcomers to locate specific bird species. From pine forest to desert scrub, from alpine meadow to riparian wetland, Albuquerque and its surrounding area in New Mexico offer an appealing variety of wildlife habitat. Judy Liddell and Barbara Hussey share their intimate knowledge of the best places to find birds in and around this important region. general description including habitat,list of target birds and where and when to look for them, other birds that can be seen, driving directions and public transportation routes, parking and fees, special considerations and hazards, such as poison ivy, rattlesnakes and bears, location of nearest restrooms, whether water and picnic tables are at the site, and nearest food and lodging.